This year's programme has the theme of passion, affection, and destruction. Countless film-makers have explored what loves means and does to us, but to what extent can emotion affect human behaviour, and is there a form of love that’s specific to Japan? From the conventional love stories between a man and a woman, to the inescapable bond of love and hate (and rivalry) between siblings, the programme features some of the best examples of cinema from Japan and will look at how the perpetual theme of love has remained an inspirational source for the country’s filmmakers. An avid film fan develops an unusual relationship with a beautiful princess who steps out of her monochrome movie screen and into his multi-coloured world in this fantastical and charming love story. A young man discovers a serial killer’s journal after his fiancée goes missing in this brutal and captivating thriller. Join Watershed Chef (and expert Sushi Chef) Shalom in this special hands-on workshop to celebrate the Japan Foundation’s Touring Programme where you can learn the preparation, rolling and presentation of delicious vegetarian sushi. Six ex-convicts take up residence in a seaside town in Yoshida Saihachi’s latest Japanese Black Mirror-esque dark comedy. 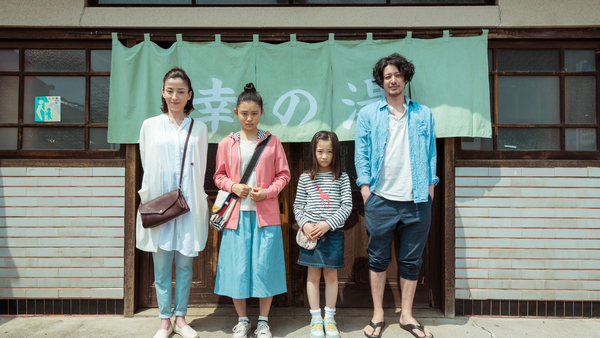 A single mum is determined to reunite her family once again after being diagnosed with terminal cancer in this emotionally charged, heart-wrenching family drama from one of Japan’s most in demand film makers – Ryoto Nakano.